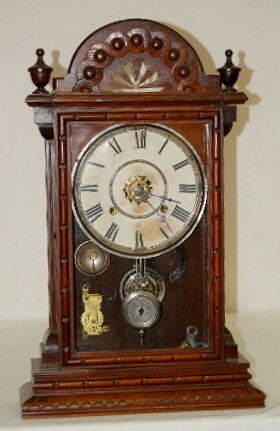 Waterbury Walnut "Albany" Parlor Clock has Waterbury marked pendulum; has key; paper dial; 8 Day; T & S with alarm; partial Waterbury label on the back. (Dial stained.) Running and gongs. 24"